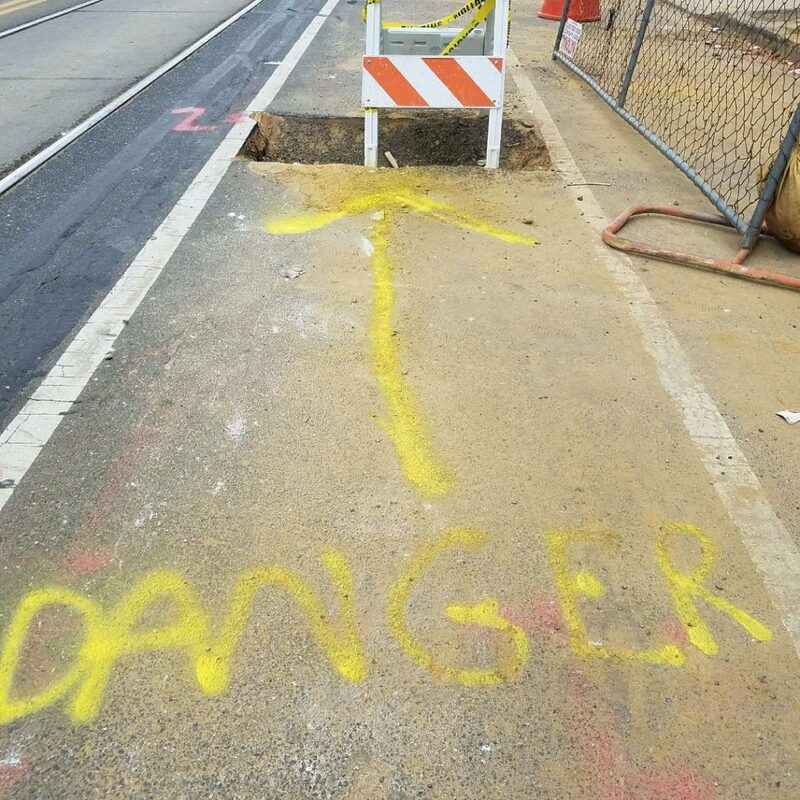 We received word of a crash last week on Baltimore Avenue when a person on a bicycle inadvertently hit a seemingly invisible pot hole on the 4900 block of Baltimore Avenue. Please watch out for this, and other dangerous street ditches around Philadelphia. The Bicycle Coalition was able to contact the person involved in the crash, and connected him with our What to do in a crash page on our site. It should be noted that cyclists should be weary of this several-block stretch of Baltimore. 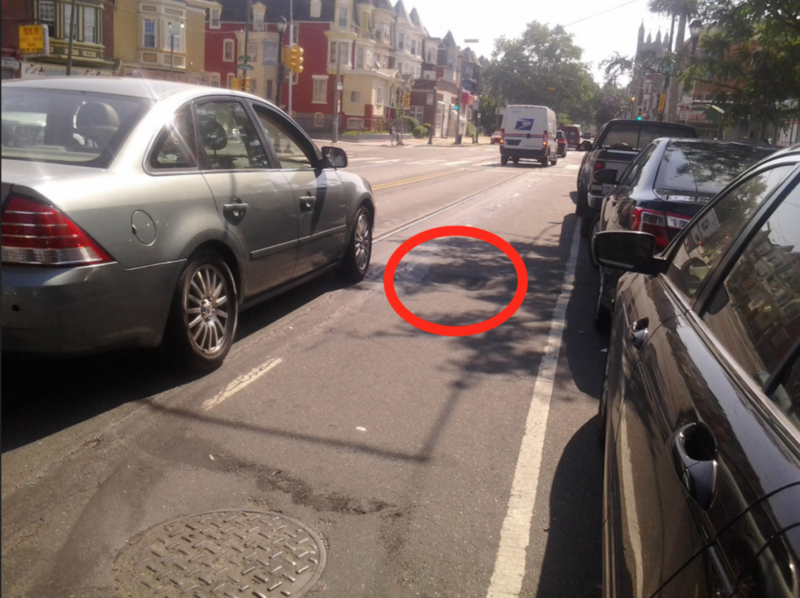 We were informed by Bicycle Lawyer Stuart Leon last week, via his Facebook page, of a huge, dangerous pot hole on the 5000 block of Baltimore Avenue in West Philadelphia, just about a block away from the site of this crash. If you are in a crash this summer—whether because of a pot hole, a motor vehicle, or something else—be sure to check out our What to do in a crash page on our website and follow those steps accordingly.